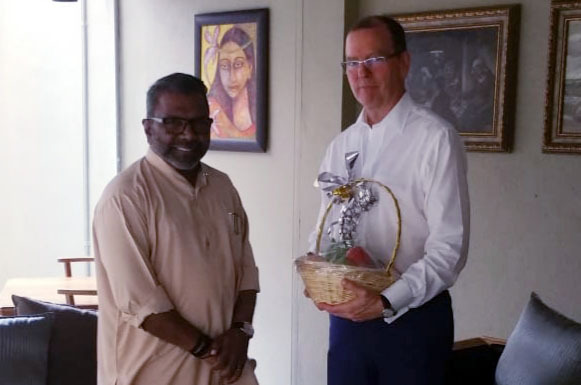 Governor of Northern Province Dr. Suren Raghavan met High Commissioner of Canada to Sri Lanka Devoid McKinnon in Colombo today (16) and had a discussion. The discussion focused on the assistance of the Canadian government for the development of Northern Province. They also discussed the visit of the Director of the Canadian government for Asian Affairs and actions to be taken by the Canadian government in Northern Province during his visit. Meanwhile, a meeting between Governor and Iranian Ambassador Mohammad Zaeri Amirani was held at the Iranian Embassy this afternoon. President Maithripala Sirisena is concerned about the solution for the drinking water issues in Northern Province. Accordingly, the Governor requested for the Iranian government’s assistance to bring drinking water through underground pipelines from the Central Province. A positive signal was shown by the Iranian Ambassador. 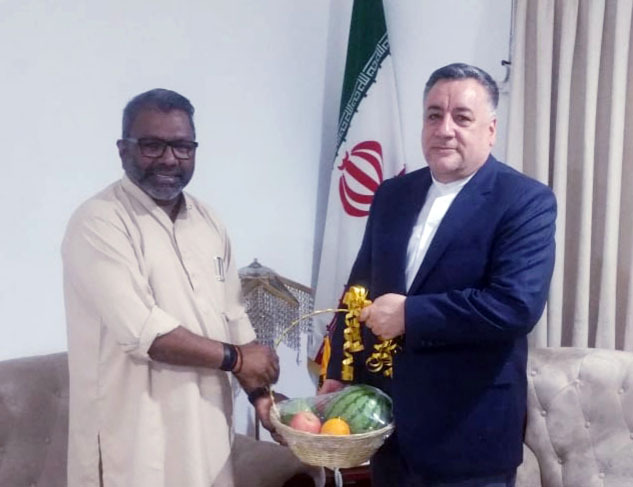 “At the first phase, 3 Iranian companies, specialized in this field will be voluntarily brought to Sri Lanka to explore the possible ways”. The Ambassador said. – Media Unit of Northern Province Governor.